Windows 10 creator update comes with new themes with some stunning wallpapers. 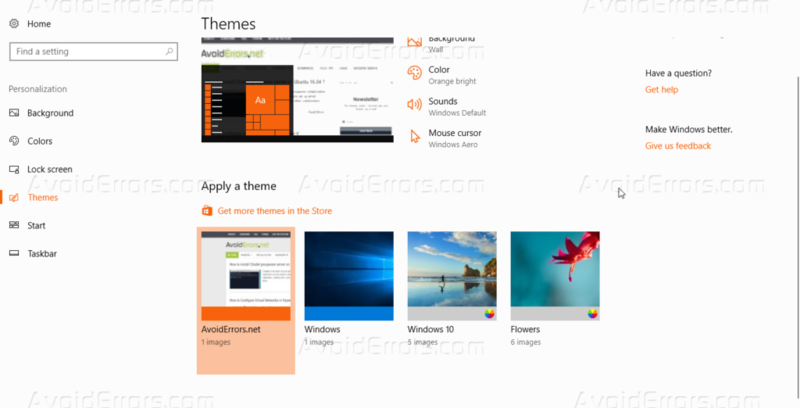 With this update, now users can create custom theme or download the themes from Microsoft store as well. In present themes we only have nice wallpapers but there may be a issue that the theme font you may not like. The menus colors don’t impress you. 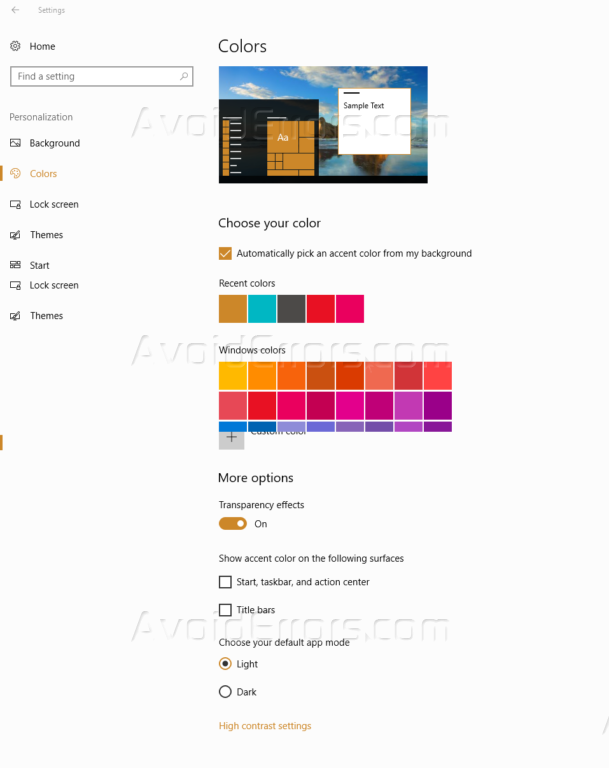 So to cover up this situation you can create custom themes with your loving wallpapers, menu colors and font style you like. Open Setting app and go to personalize settings tab. Click on background and select the wallpaper or wallpapers you want to select for your theme. 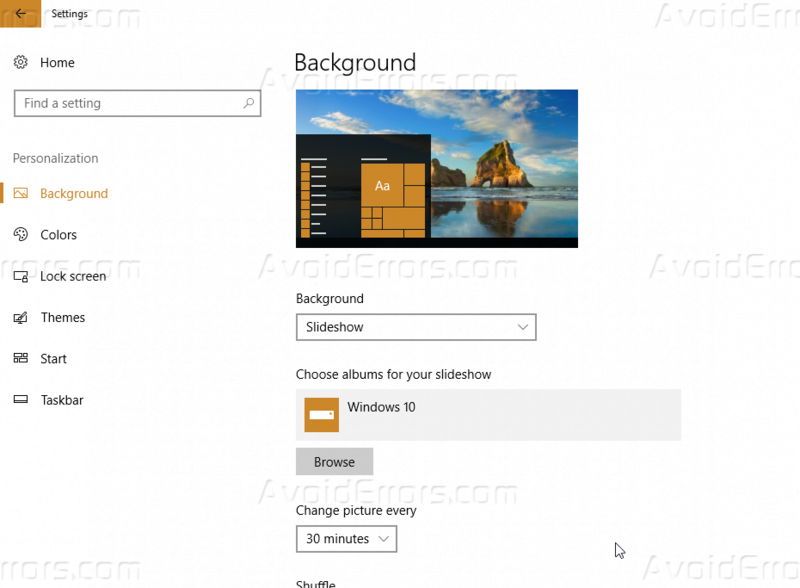 When selecting multiple wallpapers, select the option slideshow in background. You can select multiple wallpapers using album folder in settings. Set the time after which wallpapers will get change. Now click on Color option on the left side, on right pane you will color settings for your custom theme. Chose automatically pick an accent color matching your wallpapers. Now it will automatically save these settings for you. Close this personalize window. Go to settings and then again on personalization, and then click on themes. 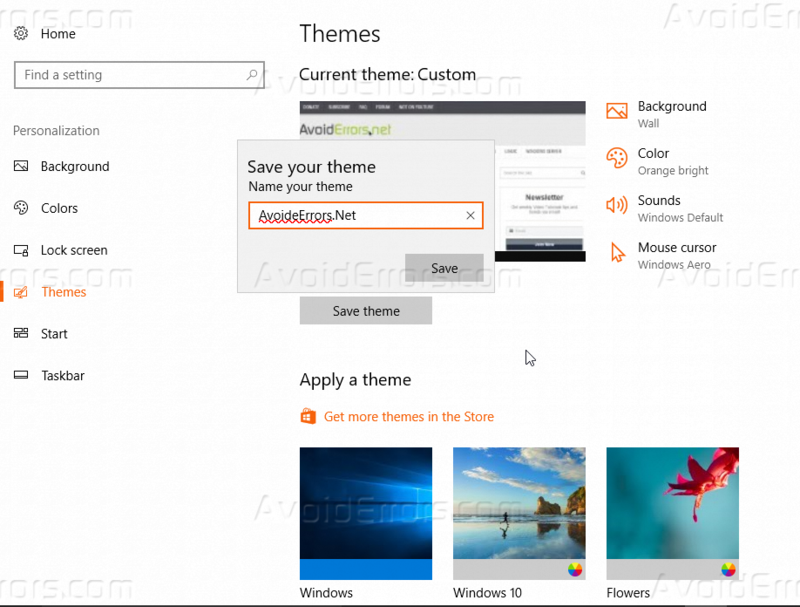 On the right side, you will have option to save the theme you have created. Click on Save theme and name the theme. Now click on your custom theme and click you are done. You custom theme will setup on your computer. 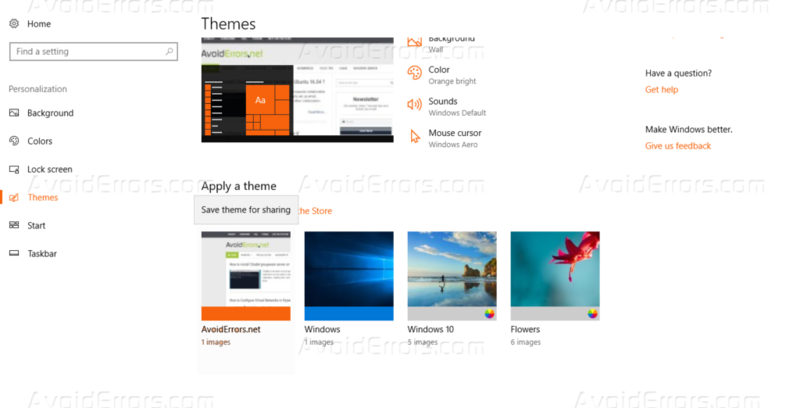 You can also save your custom theme for sharing, right click on your theme and select Save theme for Sharing. Select the location to save and click save. Now you can share this theme to any of your friends or family member as well. There are some limitation as you cannot set the task bar transparency. Theme will save wallpapers and color for sharing. 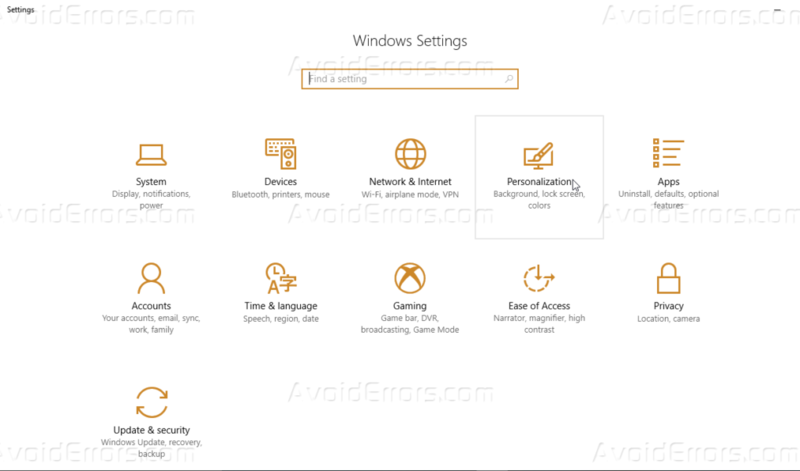 Other settings will only be applicable on your computer only. Imran is a technology evangelist with 8 years of experience working with some of the Industry leading companies. Imran's expertise includes On-Prem/Virtual Infrastructure deployments, IT Solutions for SMEs, End User Computing Support. Get weekly Video Tutorials tips and trends via email!